Finding the right workers’ compensation attorney in Los Angeles is important, and here at the law firm of Koszdin, Fields, Sherry & Katz. On behalf of Koszdin, Fields, Sherry & Katz posted in Workers Compensation on Thursday, June 28, 2018. Nobody goes to work expecting to get hurt. Everyone has the right to expect a safe workplace that follows all state and federal guidelines. Unfortunately, workplace accidents do happen. When they do, we expect our employers to treat us fairly. There may be times when an employer does not treat an employee fairly when it comes to workers’ compensation claims. When that happens, it may be necessary to find an attorney. If you are looking for a workers compensation attorney in Los Angeles, the law firm of Koszdin, Fields, Sherry & Katz is ready to help you. There is no worse feeling than not being able to work. Having the ability to provide for ourselves and our families is vital. Injuries at work have the potential to jeopardize our ability to make ends meet. They can mean extensive medical bills, even for the smallest mishaps. Being out of work for even a short amount of time can severely impact our day-to-day lives. What can be worse is being denied a workers’ compensation claim. Workers’ compensation operates differently in each state, but almost all workers are covered in some fashion. They are state-mandated insurance programs that provide benefits to employees who suffer job-related injuries or illnesses. The federal government also has a separate workers’ compensation system. You can look on the Department of Labor website to find which agency is responsible for workers’ compensation in each state. Regardless of who was at fault when an injury occurred, employees are usually able to collect benefits. Whether an employee, an employer, a coworker, or a customer was the cause of the injury, most of the time workers’ compensation can be obtained. Workers’ compensation is not just relegated to accidents such as falling off of a curb while delivering a piece of furniture or being injured by falling debris. Often, workers who constantly perform the same motion over and over again on regular basis will find that, over time, stress injuries can occur. Also, some jobs involve chemicals or work environments that could cause heart, lung, or even mental health issues over time. All of these can be potentially covered through workers’ compensation. 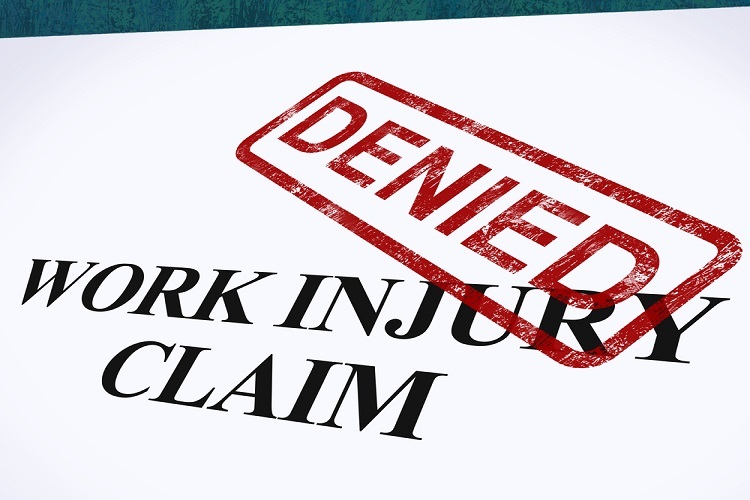 Why would an employer deny a workers’ compensation claim? Because it can cost them money. Since each state operates workers’ compensation as an insurance program, employers pay premiums that can go up as more workers’ compensation claims are filed. How would an employer be able to deny a claim? When an injury is reported, an employer may not believe that their employees injury is serious. This could especially be true if the pain an employee has is minor or something that has been building over time. The employer could avoid referring their employee to the doctor, and even threaten to fire the employee if they pursue the issue. This not only wrong, it is illegal. If you believe you have a valid workers’ compensation claim and have been denied proper procedure by your employer, you may need help. Finding the right workers’ compensation attorney in Los Angeles is important, and here at the law firm of Koszdin, Fields, Sherry & Katz, we understand that your livelihood and future are at risk due to workplace injuries. Reach out to us by clicking here or calling one of these numbers: 818-812-5639 or 800-747-3447.